At year-end 2012, the Land Council finalized the purchase of a Conservation Restriction on 10 acres of agricultural land at Bartlett’s Farm. The newly conserved parcel abuts 104 acres of farmland that was placed in conservation by the Land Council in 2004. The campaign to raise funds to secure the Conservation Restriction on the farmland at the corner of Hummock Pond Road and Somerset, where the new bike path has been constructed, was launched in February 2012. Campaign gifts ranging from $25 to $200,000 were received from 142 families, businesses and foundations. Instead of the possibility of a multi-home subdivision on the 10 acres, the new Conservation Restriction means that open space connections with previously protected farmland properties can be maintained, along with the preservation of existing public views associated with this important piece of land. Under the terms of the Conservation Restriction, subdivision and traditional development are permanently eliminated on the 10-acre site while allowing Bartlett’s Farm to continue to use the land for agricultural purposes. Also allowed under the terms are the building of one 1,000-square-foot farmhouse along with the right to build a defined number of barns and agricultural outbuildings in support of the agricultural use on the property. In June of 2004, just a few short months after completing the Bartlett Farm Campaign (read below) the NLC began its largest and most ambitious campaign ever. The Loring Campaign required raising $14 million to purchase Conservation Restrictions on 270 acres of land owned by Linda Loring and her fledgling organization, The Linda Loring Nature Foundation, Inc. The 270 acres not only represented the largest remaining parcel of unprotected land in private ownership, but also a significant portion of globally endangered sandplain grassland and heathland habitat. The protection of this property was one of the most significant conservation efforts in recent years. The Conservation Restrictions, which cover multiple parcels of land that Loring purchased (and notably NEVER developed) over the last 50 years, allow for an area less than 10 acres to construct classrooms, research facilities and other buildings to house the offices of the LLNF. Because the land will managed by the Foundation, the property will eventually be open to the public for education. 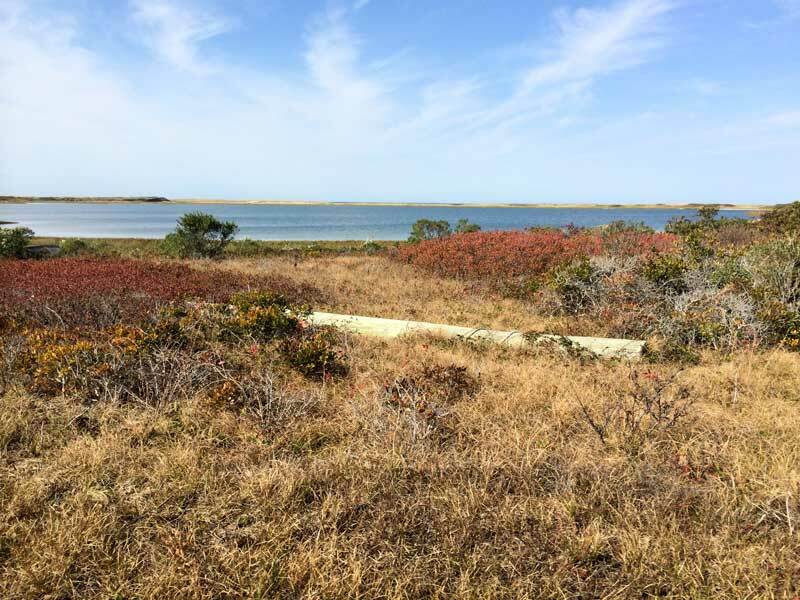 In February of 2004, the Nantucket Land Council recorded a permanent Conservation Restriction on 104 acres of land owned by Phil and Dorothy Bartlett and their family. 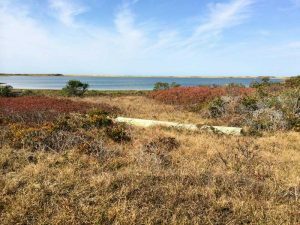 The preservation of this property was an absolutely monumental victory for land conservation on Nantucket. 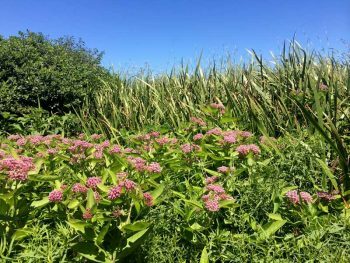 In addition to being a sixth generation family farm which provides Nantucket’s community with delicious food and beautiful flowers, the property is Nantucket’s third largest privately owned contiguous land tract. The 104 acres were vulnerable to potential development, with the zoning allowing for 52 lots, with 2 dwellings on each lot, for the construction of 104 houses in total. At the time, the modestly estimated value of the land was no less than $18 million. In recent years, however, properties of less than 30 acres have sold for as much as $15 million. Fortunately, the Bartlett family agreed to sell the Conservation Restriction to the NLC at the price of just $6 million, which the NLC successfully raised in just 2 years. The Conservation Restriction preserved 98 acres as open farmland and allows for a six acre building envelope where the family could construct more barns or greenhouses, if so desired. As a result, Bartlett’s Ocean View Farm is now permanently guaranteed land for farming in the future. It is especially important for Nantucket, as an island, to have access to locally grown produce. The NLC is proud to have helped create a more sustainable future for food and agriculture on Nantucket. One of the places where the NLC’s work has been most effective is on neighboring Tuckernuck Island. Since 1986, the NLC has recorded 21 Conservation Restrictions which protect over 346 acres. Most importantly, the NLC provided critical technical assistance to help form the Tuckernuck Land Trust. Combined with efforts by the NLC, the TLT, the Nature Conservancy and the Trustees of Reservations, the majority of Tuckernuck has now been protected.For more information on the history of our many successes, please visit our Land Preservation Map.